with just a hint of spice? Celestine Simons was of good family, but an untimely death and a shortage of funds forces the homely spinster to take a position as governess at the estate of Lord Langlow and his wife. Never one to bemoan her change in fortune, Celestine is content to spend her days raising and overseeing their children, knowing in her heart she will never have any of her own. 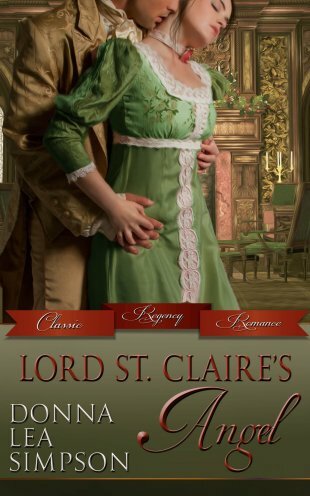 Lord St. Claire Richmond, Langlow’s brother, is a rogue and seducer, content to while away his days pursuing pleasure—and driving his brother and sister-in-law mad by reducing their female staff to lovelorn fools with his flirtations. When he learns on his annual Christmas visit that the drab Celestine was hired as governess solely to thwart his dalliances, he devises a scheme to both stir her heart and spite his family’s interfering ways. But as his game unfolds, the cunning St. Claire discovers this conquest may be more challenging than expected when the thoughtful and intelligent Celestine begins to fire an ache in his own heart. And what began as an amusement to give the plain, timid miss an innocent thrill is turning into much more, as St. Claire realizes she may be the one giving him the thrill—and teaching him in a way only a governess can that real beauty lies beneath the surface and that true love is often found where you least expect it. Click on the logos below to buy this book and other books by Donna Lea Simpson. Lady Emily Sedgely, separated from her husband and bored to distraction after years of solitude in the wilds of Yorkshire, is stirred by a sudden thirst for life and eagerly returns to London for the Season. Back in the swirl of society, she quickly warms to the attentions of an ardent young Frenchman— until a chance encounter with Baxter, her estranged husband, leaves her as confused as ever about her heart’s true longings. Baxter, the Marquess of Sedgely, was given to dark moods and an uncertain temper that doomed his marriage. Finding relief in travel, he spent five years gallivanting the Continent and has now returned to London with a comely young mistress—and a dangerous secret. Cavalier about his safety, he discovers a far greater concern— for just one look at Emily stirs a realization that while his life may be in danger, it is his heart that faces a more immediate peril. When Emily’s young French suitor arouses suspicions that he may not be all that he appears and a unknown assailant makes several attempts on Baxter’s life, the two are driven to protect each other and surrender to a passionate reawakening— and neither will rest until they are safely in the arms of the only person they’ve ever loved. This book was originally published under the title: Lady Delafont’s Dilemma. 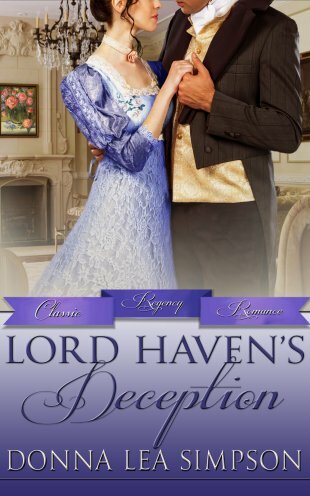 Lady May von Hoffen has been plagued all her prim young life by the scandalous behavior of her widowed mother and the licentious men she consorts with. When she finally finds herself free of her mother and in sole possession of Lark House, she relishes the sense of decorum and freedom it gives her. But the surprise discovery of the injured Frenchman Etienne hiding on her estate—the man who once rescued her from an attack on her virtue and the only man she’s ever been able to trust—turns her newly peaceful solitude into a maelstrom of bewildering thoughts and disturbingly passionate curiosity. 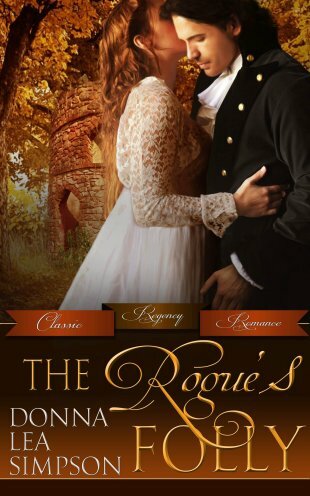 Etienne is a self-avowed rake, and even now is on the run from ruthless adversaries who accuse him of trying to murder a marquess and seduce his wife. Following a stabbing that nearly claimed his life, he finds sanctuary on the land of an unfamiliar estate, hoping to recover and evade capture. But when the lady of the house turns out to be none other than the lovely and innocent Lady May, his feels his heart stir even as his body is gripped by pain and the fear that she will renounce him. As May nurses Etienne back to health and learns the truth of his supposed crimes, along with a much-needed education on the relations between men and women, a burning desire smolders between the two opposites, and soon they will be forced to trust each other and their feelings in order to save one life and two hearts. This book was originally published under the title: Lady May's Folly. When Truelove Becket’s betrothed went missing in a naval battle, she vowed never to marry unless she found someone she loved as much. In the seven years since then, the quiet vicar’s daughter has lived a simple and contented life helping the poor people of her village. But now another man has asked for her hand in marriage and, unsure if she is ready to commit to him, she agrees to accompany her beautiful cousin Arabella on a trip to visit friends so she can take time to think it over. Viscount Drake cut a dashing figure when he returned from war to a hero’s welcome, but the Battle of Waterloo left him a shattered and haunted man. As his dreams are invaded by the terrors of war he becomes a sleepless shell of a man, and as his torment grows he begins to wonder if marriage to the lovely Arabella will help restore him again. But as Arabella coquettishly flirts to secure Drake’s hand and his riches, it is the pretty and practical True he turns to for solace. With the weight of her marriage proposal bearing down on her, True finds herself irresistibly attracted to Drake’s quiet dignity and genuine distress, just as he finds himself drawn to her honest nature and soothing compassion. When a spark of passion ignites between these two who have both lost so much to war, they will have to confront their biggest fears— and everyone else’s plans for their futures— to discover if love can truly cure all ills. 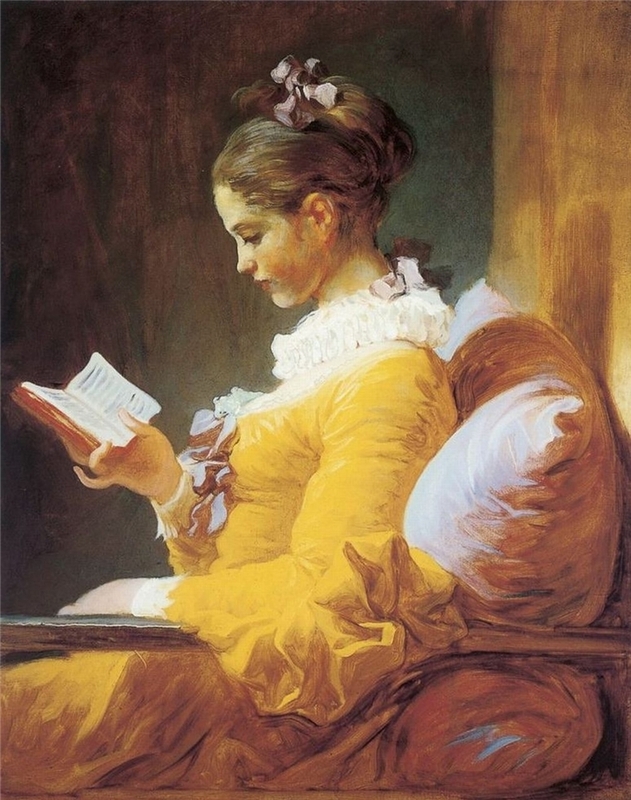 Arabella Swinley was once the diamond of the ton, a rare blonde beauty with an exquisite knack for the art of flirtation and a reputation for rejecting an unprecedented number of suitors. Faced now with a dwindling number of offers for her hand, she and her scheming mother are in a panic: if Arabella can’t secure a moneyed husband soon, they’ll be at the mercy of the debt collectors and left to fend for themselves. 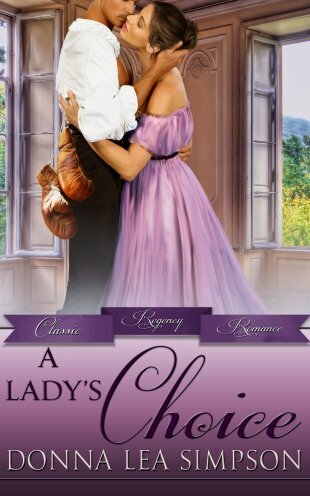 When a titled gentleman many decades her senior proposes, Arabella resigns herself to a loveless but secure marriage— even as her eye, and her heart, keep returning to the ruggedly handsome and most unacceptable Marcus Westhaven. Marcus, an adventurer just back from years exploring the Canadian wilderness, is the most unconventional man proper society has ever tolerated, and penniless to boot. With an amused and defiant smirk, he makes no pretense about his scorn for the shallowness and money-hungry ways of the ton— until he finds himself fighting an undeniable attraction to the very beautiful and very proper Arabella, a woman who is the embodiment of everything he despises. With Arabella on the verge of making a disastrous marriage and Marcus torn between his principles and his passion, the two are bound by a growing desire that can only lead to heartbreak and scandal. And as their passion flares, they must open their hearts to the realization that no matter how sincere their intentions, denying their long-held beliefs may be the only way for them to find true and lasting love. This is a fully revised edition of a book originally published as Belle of the Ball. Twenty years ago, Beatrice Copland committed a reckless and foolish act of deceit that she’s certain ruined the life of a man she’d fallen in love with and led to his wife’s death. Now serving as companion to the stern Lady Bournaud, she leads a quiet life and attends to her duties as a kind of penance. But Lady Bournaud, trying to make amends for her own selfish ways, is opening her country estate to a few select guests for the holidays— including the man Beatrice wronged so many years ago. Sir David Chappell spent nearly two decades coming to terms with the haunting memory of his wife’s death. When he receives an invitation to Lady Bournaud’s for the Christmas season, he’s reluctant to go at first, but he’s sure the time away in Yorkshire will be a welcome change from London. Once there, he’s immediately captivated by the youthful beauty and genuine compassion of the lady’s companion, Beatrice Copland— all the while sensing that he’s met her before. Even as David pursues her and Beatrice realizes she’s still powerfully attracted to the man, she must gently rebuff his advances for fear that her damning secret will come to light and reopen his old wounds. 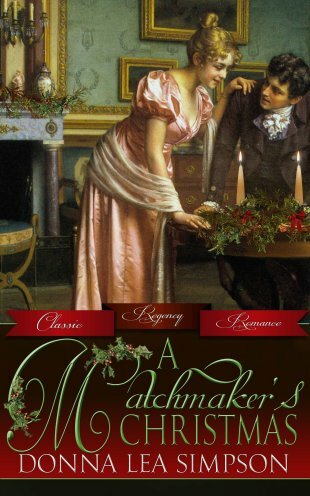 And while Lady Bournaud watches, happily scheming to make matches for all her guests, it may take more than a Christmas miracle for David to free Beatrice’s conscience, and her heart, at last. Phaedra Gillian, the spinster daughter of a vicar, is quietly content to manage the chores in the household she shares with her father and tend to the needs of the less fortunate in their small village. When she discovers the body of a man who’s been badly beaten and robbed on the road near their cottage, her compassionate nature compels her to take him in and nurse him back to health. 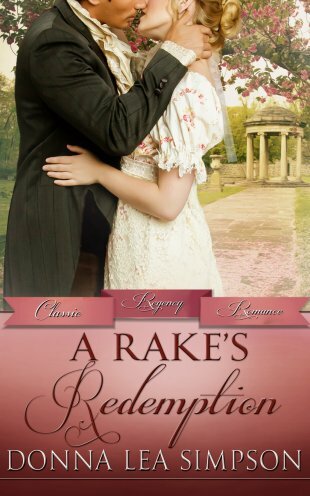 But sheltered as she is from the depravities of the London ton, she’s dismayed to learn that the ruggedly handsome Hardcastle is a notorious rake and scoundrel—and a man who stirs unfamiliar and dangerous feelings of physical longing within her. Lord Hardcastle has led a debauched and dissolute life, taking pleasure from women at his whim and shrewdly breaking the fortunes of lesser men in the gambling dens. While on his way to collect a debt from his latest victim at the card table, he’s beset by highwaymen and left for dead, only to be saved by an angelic creature as beautiful as she is virtuous. Captivated by the lovely Phaedra and shamed by her pure-hearted goodness, he’s nonetheless drawn to thoughts of seduction and concocts a fiendish scheme to coax her to his bed. As Hardcastle skillfully leads her from genuine affection to mounting desire and Phaedra finds her resolve weakening, she must struggle to defend her virtue against the promise of a deeply tempting pleasure. And in a bold gamble that will change both their lives, Phaedra agrees to wager her innocence against Hardcastle’s dishonorable ways—as both come to realize that a true and lasting love hangs in the balance and rests on the turn of a card. 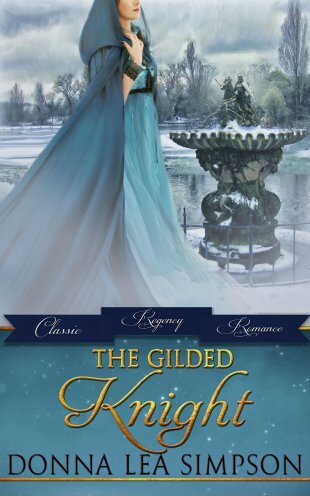 Jane Dresden has no patience for the merciless gossip of the ton or the handy hypocrisy of the nobility, and now that her mother has arranged for her to marry the supposedly cruel Viscount Haven, she fears for her future happiness. In an effort to appease her mother and also put an end to her matchmaking, Jane agrees to meet the man, but in a fit of panic runs from the engagement and takes refuge in a country cottage, disguised as a maid. There she meets a kind and comforting local farmer who shares her taste for simplicity and quickly captures her heart. Lord Haven had long ago resigned himself to the unpleasant duties of his title and accepted the hard truth that taking a wife and producing an heir was among them— though he shudders at the prospect of spending his life with the charmless woman his mother has arranged for him to wed. Wishing to delay their formal meeting until the last possible moment, he shrugs off his stifling attire and escapes to his favorite sanctuary, a simple cottage on his grand estate. There he meets a caring and captivating maid who steals his heart, and in the guise of a common farmer he proceeds to court her, fearing all the while that his ruse will be discovered. As the two struggle with the implications of their deceit and the shattering knowledge that revealing their true identities will doom their blossoming bond, each is forced to choose between duty and heartfelt desire, never suspecting that their fated match holds the key to a true and lasting love. This is a fully revised edition of a book originally titled A Country Courtship. This is a fully revised edition of a book originally titled Pamela’s Second Season. For as long as she or anyone else can remember, the beautiful but cold Rachel Neville has always adhered strictly to society’s rules, and she is now reaping the rewards with an offer of marriage from an eminently suitable fiancé. Yet despite the secure future that lies ahead, Rachel is suddenly questioning her acquiescence to the strictures of the ton—and her future husband. Stranger still, she is preoccupied with thoughts of Colin Varens, a wholly unsuitable man whose proposals she has rejected several times. Colin can’t remember a time when his heartfelt declarations for Rachel weren’t being rebuffed, but the rough-and-tumble country gentleman has finally come to terms with the rejection—and Rachel’s betrothal—and has made peace with her as friends. But as he and Rachel spend more time together, he finds her once-haughty manner thawing into the warmth and vivaciousness that attracted him so many years ago, just as he is finding a growing strength and confidence of his own. As Rachel finds comfort in Colin’s strong embraces and the unfamiliar emotions simmering within, Colin must struggle with feelings he thought stifled once and for all and admit the hope he still carries in his heart. And as Rachel’s marriage draws near and both of them confront the reality of a life without the other, they will discover that the habits of a lifetime are not carved in stone, because a lady’s change of heart can change everything. This is a fully revised edition of a book originally titled Rachel's Change of Heart. 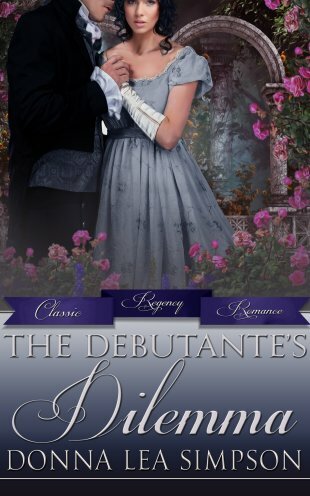 As chaperone to the Season’s most desirable young miss, Amy Corbett has two specific duties: to ensure that her charge’s reputation remain spotless, and to see her betrothed to an exceptional beau. 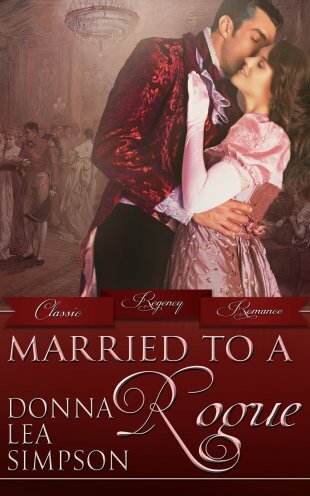 Given that the coquettish Lady Rowena manages to maintain an air of propriety while being a flirt of the highest caliber, Amy knows her job should be easy— if only the calculating young aristocrat weren’t so set on toying with men’s hearts, including that of her latest prey, the debauched Lord Dante Pierson. Like other gentlemen of high standing and low tastes, Lord Pierson’s restless desire for excitement had driven him into a life of squalor and scandalous social blunders. Finding himself drunk and mud-spattered in a gutter one night, he spies an angelic apparition in a passing carriage and is overcome by a will to reform—surely such a woman could give him hope of rebirth. When he learns that the anonymous beauty is Lady Rowena, he vows to coax that flicker of warmth into a flame. As Rowena lures the unsuspecting Pierson ever closer to heartbreak, Amy realizes that for all the talk of his wastrel ways, he is actually a gentle and caring man to be championed and cherished. 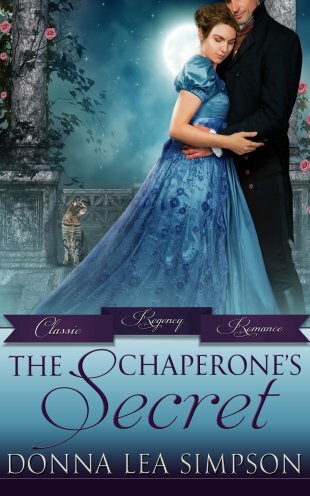 And in an unguarded moment, the unassuming Amy and downtrodden Lord Pierson will discover that they possess kindred souls—and will make a daring decision to follow their own true path to happiness and love . . . This book was originally published as 'Lord Pierson Reforms'. Scarred and hardened by the betrayal of his late wife and his latest mistress, the Duke of Alban decides to withdraw from the depressing swirl of London for a trip to the north, where he can visit his beloved aunt, and regain the composure that has deserted him. But his hopes for a serene retreat are dashed by the voluptuous beauty of Kittie Douglas, the young widow who serves as his aunt's companion, and stirs a deep longing - and a deep mistrust - within him. 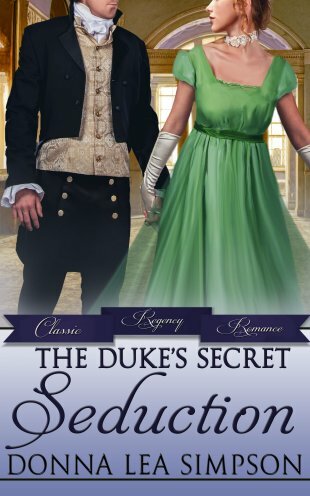 Kattie has long heard about the duke's upstanding character, and had imagined him to be a paragon of male virtue, but meeting the man leaves her with a distinctly different impression: though he's strikingly handsome, his late wife's duplicity has left him moody, taciturn, and even suspicious of her intentions where his well-to-do aunt is concerned. But perhaps most frustrating is that he's blind to her own upright nature and tender inclinations, unaware that she harbors a deep wish to soothe his heart and make him whole again. As a war wages within Alban between his inability to trust Kittie and his overwhelming desire to possess her, she struggles to break through his bitter resolve, tempted all the while to abandon him and her hopes for a lasting romance. Until a startling revelation from Alban's aunt shocks them both into realizing what's at stake, and forces Alban to recognize that if he's to have any chance at happiness, he'll have to open his eyes - and his heart - to Kittie's true beauty and the promise of unwavering love . . . This book was originally published as ' The Duke and Mrs. Douglas'. Recently widowed and left to raise a daughter on her own, the self-sacrificing Lady Nell Simmons knows she faces an uncertain future: her late husband's cousin and the rightful heir to their estate has staked his claim and is demanding Nell's removal, despite the fact that her delicate daughter is fearfully ill. When the heartless heir sends his wayward brother Charles to hasten her departure, Nell is relieved to realize that the scandalous man has more compassion than she imagined, but she's still wary of his motives-- as well as the romantic feelings he stirs in her. Sir Charles Blake, widely known to be a rake and a wastrel, has agreed to serve as his brother's henchman only as a means to having his considerable debts erased. But when he arrives at the estate, determined to do his unpleasant duty, he's struck by Nell's quiet dignity and her generous spirit, and suprises even himself by tending to her ailing daughter. And as a ferocious winter storm strands him there, Charles slowly comes to find himself torn between his obligation to his brother and the feelings of tender longing Nell has inspired in him. Wondering if he can possibly defy his own brother's wishes at the risk of leaving himself destitute, Charles realizes he must summon a resolve he's not sure he possesses. For by facing his own true feelings for Nell and convincing her of his sincerity, he may finally be able to restore his tarnished reputation and secure both their futures-- and their hearts . . .
Victoria Hamilton & Amanda Cooper? Victoria Hamilton is the pseudonym of nationally bestselling romance author Donna Lea Simpson. She now happily writes about vintage kitchen collecting, muffin baking and dead bodies in the Vintage Kitchen Mysteries and Merry Muffin Mystery series. Besides writing about murder and mayhem, and blogging at Killer Characters, Victoria collects vintage kitchen wares and old cookbooks, as well as teapots and teacups. 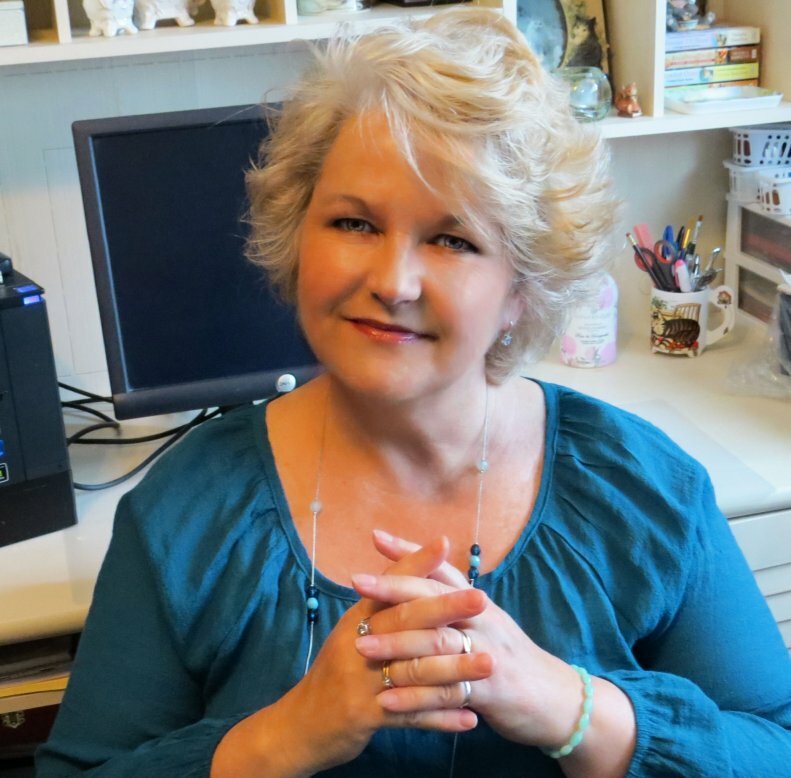 You can find out more about Victoria Hamilton at her website, as well as on Facebook and Pinterest. Copyright © 2007 - 2019 Donna Lea Simpson | All Rights Reserved | Updated: March 7, 2019.